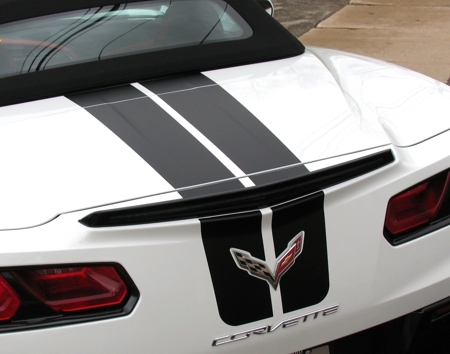 Set your '14-Current Chevrolet Corvette apart from the rest with our Rally Stripe graphic kit. As you can see, stripe package is not just a set of straight strips in a box. 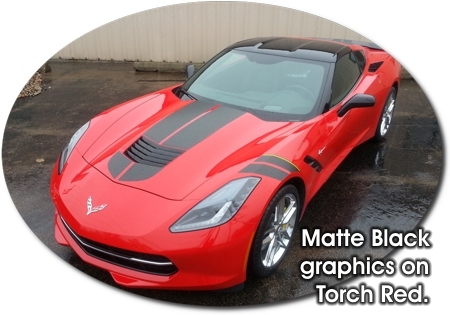 Kit consists of prefitted, tapered and contoured pieces as shown. 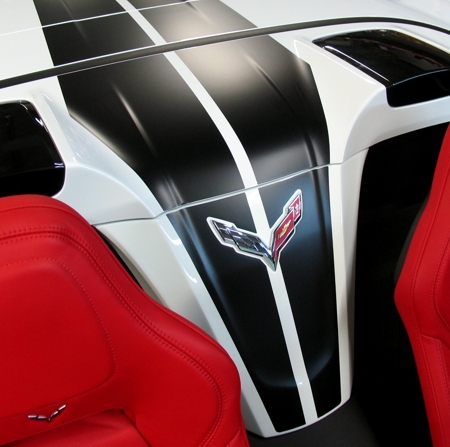 Rally stripes are set for 0.875" (22.22mm) center spacing at time of installation. 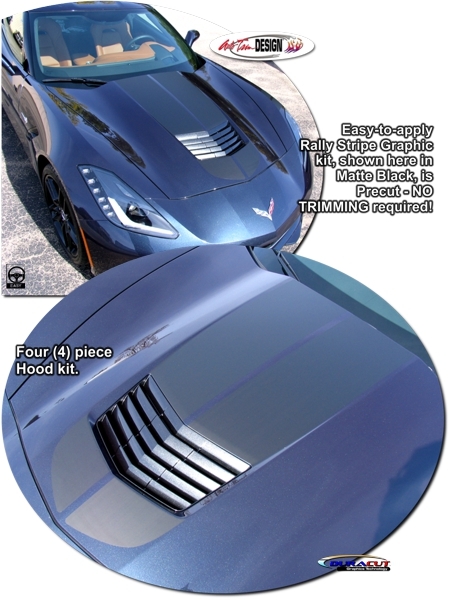 This kit is specifically made for '14-Current Chevrolet Corvette C7 and Z06 factory hood, roof and rear hatch/lid areas and will not fit any other vehicle.